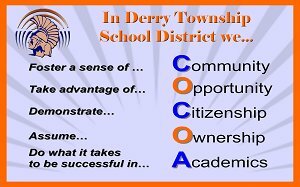 This area of the district website highlights and showcases the COCOA Principles in action in our district. Congrats to Hershey High School juniors Amir Hasan and Landyn Ober; the duo placed 1st in the Central Region in the High School Division of the Securities Industry and Financial Markets Association (SIFMA) Spring Stock Market Game. The team earned a 12.7% return on their stock portfolio over the past 10 weeks, outpacing the S&P 500 by more than a 5% return. Hershey students dominated the region, with HHS teams taking the top six places. So kudos as well to Tommy Johnson & Jack Gish (2nd), Tyler Meister & Karsyn Kehler (3rd), Max Schmidt & Ben Phillippy (4th), Mason Horn & Jordan Giffin (5th) and Alexis Moodie & Leah Koppenhaver (6th). Hershey Middle School 6th Grader Aidan Norton, who is one of 10 students across the Commonwealth was presented with the Pennsylvania Association for Middle Level Education's (PAMLE) Joan Jarrett Award. The award is designed to honor outstanding adolescents at the middle-school level who demonstrate leadership abilities, good citizenship, and have made positive contributions to their school and community. Second Marking Period Honor Rolls for the 2018-2019 school year have been released for Hershey High School and Hershey Middle School. Five Hershey High School seniors have signed national letters of intent to continue their athletic and academic careers in college. Those students announcing their plans include: Adam Paymer, Christopher Newport (lacrosse); Alexei King, Misericordia University (soccer); Joe Allegrini, Juanita College (baseball); Mark Sickler, United States Military Academy (lacrosse) and Mark Suminski, Unites States Naval Academy (track). A hearty congratulations to Hershey High School student musicians John Zhuang, Tehya Walters, Natalie Jones, Carissa Marrocco, Maddie Getting, Avi Lukacher, David Mailman, Dan Hyatt, Jonathan Haidet, JT Mullins, Ethan Sicher and Michelle Yun for being selected to the Pennsylvania Music Educators Association District 7 Band. Mullins and Sicher were also selected to participate in the PMEA District 7 Jazz Band. Additionally, the pair will join Zhuang, Getting, Lukacher, Mailman and Yun as participants in the PMEA Regional Band. Selection to these different honors ensembles is based on individual auditions. The Hershey Middle School Geography Bee took place after school on Thursday. January 24 with more than 30 students answering a wide variety of questions related to the study of the physical features of the Earth. In the end, 6th Grader Brady Keller captured the championship with 8th Grader Matt Cysyk coming in a close second. Luke Pritchett (7th grade) finished third. Congratulations to Sophomore Jordan Lewis and freshman Alina Zang who captured first and second place, respectively, in Hershey High School’s Poetry Out Loud competition. Poetry Out Loud: National Recitation Contest encourages students to learn about great poetry through memorization and recitation. This program helps students master public speaking skills, build self-confidence, and learn about literary history and contemporary life. Six DTSD educators are among the newest group of teachers to successfully complete the process to become NBCTs! Congratulations to Megan Hayman-Rau (Middle School Math), Erin Ives (High School English), Richard Miller (Middle School Band), Andrea Morrison (2nd Grade), Kristen Ober (2nd Grade) and Alys Stets (Multi-Disability Support). 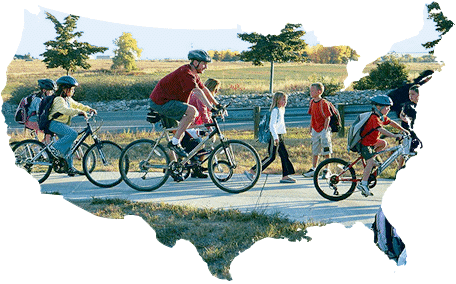 National Board Certification is a voluntary, advanced teaching credential that goes beyond state licensure; it is considered the most respected professional certification available in K-12 education. A tip of the cap to Hershey high School junior Angie Bu for receiving the Distinguished Student Award from The Pennsylvania Association for Gifted Education (PAGE). The Distinguished Student Award is designed to recognize achievement in academics, the arts, innovation, leadership, and/or service for students across the Commonwealth. Winners receive a PAGE Certificate of Excellence as well as a check to be used to further their intellectual, artistic, or service pursuits. The Derry Township School District Transportation Department exemplified the “Ownership” component of the district’s COCOA Principles every day, but no more so than through their dedication to completing the mission of safely transporting students home while combatting deteriorating traffic and weather conditions during the early dismissal earlier this month. In acknowledgment, the department was recognized with a School Board proclamation. Derry Township School District's goal is to be considered among the top public school districts in the United States! Being a national model requires exemplary performance in all aspects of operations, including communications. It's easy to stay connected with Derry Township School District. In addition to the news, events and documents you find here on our web site, you can also have updates delivered to you in box or mobile device. Or follow us on social media. Like us! Follow us! Or do both! 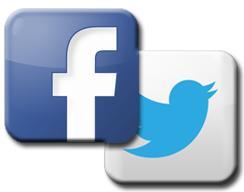 DTSD maintains a social media presence on both Facebook and Twitter. These tools enable us to provide constituent communications on popular platforms you probably already use on a regular basis. Our posts are a little less formal than what you'll find here on the website, but we also provide content that you cannot find anyplace else! DTSD Superintendent Joe McFarland is part of the “blogosphere.” Check out the Superintendent’s Spotlight blog for insight and information from the district’s top administrator. DTSD Assistant to the Superintendent for Curriculum, Instruction and Assessment Dr. Stacy Winslow offers insights and expertise in her “Curriculum Reflections” blog. “COCOA Connections” focuses on events and happenings at the Hershey Elementary Schools, covering the district’s Early Childhood Center, Primary Elementary and Intermediate Elementary. During the 2017-2018 School Year, the district will be piloting a new technology-based tool called Anonymous Alerts that students can use to report: drug or alcohol related issues, bullying/cyberbullying, violent behavior/threats and other campus safety hazards. Reports may be made at any time, but Anonymous Alerts® should NOT be used to report emergency, urgent or time-critical concerns. At DTSD, the Anonymous Alerts® system will be monitored from 7:30 a.m. until 2 p.m. on days when school is in session. 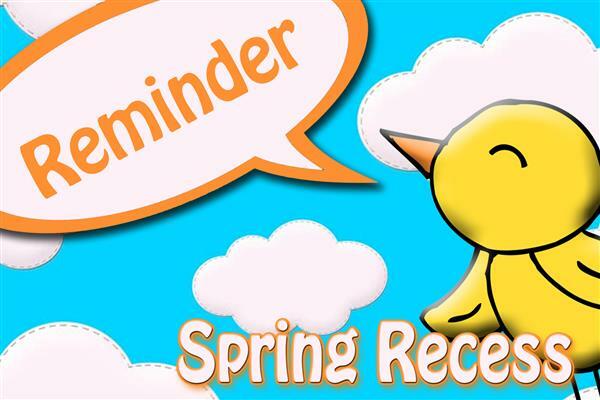 Reports submitted at other times will be addressed the next scheduled school day.